One thing you realise as a retro gamer is that the games you love are trapped in stasis. They are what they are and that's what they always will be. One thing that does change though is the individual holding the control pad, time changes them. The game they are playing is identical to the one they played 20 years ago, but when they played it then they didn't have a 60 hour week job, two children and an increasing number of grey hairs. As a child if it wasn't a school day and I wanted to play game all day I could. As an adult I can't remember a day when I sat in front of the TV for more than an hour or two playing games - thank goodness for the playing time offered by a 10 hour commute! If I'm not working or sitting on a train my time is spent with family, with my daughters or doing the house hold chores. It’s not a bad thing it’s just a sign of priorities and life changing. It’s a sign of getting older and this week I shall be older still - I turn 32. So to mark this birthday I wanted to play a game that reminded me of my childhood. An exciting platform romp that existed on a 32Mbit 4mg cartridge and looked like a 32 bit game. I wanted to play a game that had 32 levels (if you ignore boss fights and particularly frustrating stage that required “stopping and going”). I wanted to revisit ‘Donkey Kong Country’. I can vividly remember the first time I saw ‘Donkey Kong Country’. There had been talk of Nintendo making a successor console to the Snes (at that time called ‘Project Reality’) and I was convinced that what I was seeing was one of the first games from it. 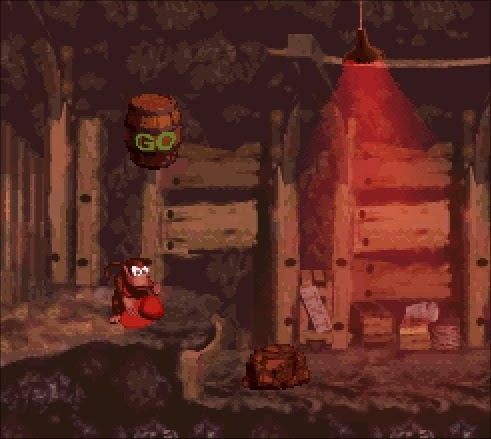 Alive on screen were Donkey Kong and a little monkey in a red cap, presented in a way I had never seen before, in a way I didn’t even think was possible in a game. They looked like plastic models popping out of the screen, not defined by dots and pixels, they were smooth and real. When Nintendo approached a little British company called Rare with the hopes that they would create a game with “better graphics than [the beautiful Mega Drive game] Aladdin” even they couldn’t have predicted just how incredible this game would be. As designer Gregg Mayles recalls “it was an unprecedented thing [for Nintendo] to do, entrusting one of their most prominent and fondly remembered IP’s with a relatively small and unknown UK Development house. Nintendo provided us with some suggestions for [Donkey Kong’s] look, and it was a sketch of his that included a tie”, but beyond this Rare really were left to their own devises. Made using the developer’s own pioneering ‘Advanced Computer Modelling’ system, each character may look like a complex 3D model and the box may declare that it is ‘an exciting 3D world’ but despite appearances the playable avatars are in fact a lot closer to every other sprite based game released. As Mayles explains the process was expensive, but simple. “Once the character was modelled in 3D we could render out the frames of a 3D animation, that were then converted to 2D images” What you are controlling may look like a 3D model rendered in real time, rivaling the models seen in films, but in reality what you are manipulating is nothing really pioneering. They are just a series of flat sprites changing quickly enough to give the impression of movement, albeit ones that have a “previously unseen realistic look”. For me though, it’s the world these deceptively simple perfectly rendered monkeys inhabit that is the really stunning part of the game. Moving from the jungles, with seemingly infinite levels of parallax scrolling, through snowstorms with snowflakes that move individually and gracefully, you end in industrial stages with swirling fog. They may feel a slightly random assortment of themes, that also include pirate ships and Endor-esque tree top villages but the constant flow of stunning locales keep everything feeling fresh, proving a real sense of adventure. Though people sing the praises of the characters, the real technical achievement is these environments. Nintendo of America in particular were proud of what they had and used ‘Donkey Kong Country’ to really promote the Super Nintendo – which at this point was half way through its lifecycle. 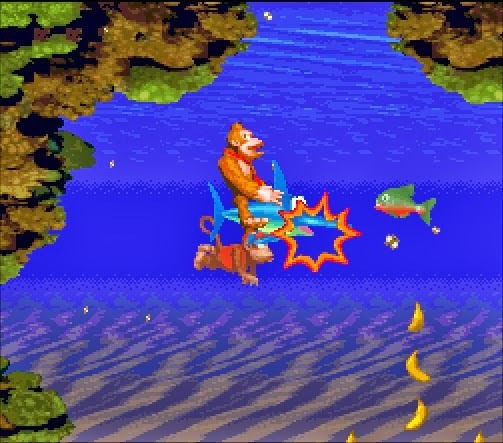 A video titled ‘Donkey Kong Country: Exposed’ was sent to every Nintendo Power subscriber and in it host Josh Wolf screams that the graphical complexity was a revolution, continually reminding viewers that the game is available only on Nintendo's 16-bit console and not on rival CD based machines. Indeed, when the game made its debut at CES Gregg Mayles remembers how “there was a moment of stunned silence” when it was revealed that the game was running on Nintendo’s 'Super' Nintendo and not it’s ‘Ultra’ successor. In Japan though, big names at Nintendo were less impressive with this radically different style of character presentation. 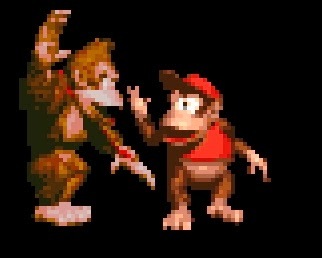 Game Boy creator Gunpei Yokoi remarked that “it looked too 3D” and Shigeru Miyamoto famously declared that “Donkey Kong Country proves that players will put up with mediocre game play as long as the art is good”. For me this feels exceptionally harsh, as although much faster paced and shorter, ‘Donkey Kong Country’ is as fun to play and creative as Miyamoto’s own ‘Super Mario World’. The two though are very different games that makes comparison seem somewhat irrelevant. As Mayles himself admits, ‘Donkey Kong Country’ is an “extravagant and brash” game, a counter to ‘Mario World’ which is “sublime, intricate and best appreciated at a slower speed”. Miyamoto has since retracted his criticism and gone on to say how much he likes the game, which isn’t surprising as so much of it is lifted from his works. “For me ‘Super Mario Bros 3’ was the ultimate pinnacle for 2D platform games” emphasises Mayles in a mutual display of back slapping. “’Donkey Kong Country’, has the same kind of structure”. This is clear from the world map, and the division of the game’s levels into worlds, but for me ‘Donkey Kong Country’ really does take the basic ‘Mario Bros 3’ premise of moving left to right and spins it in a huge variety of ways. 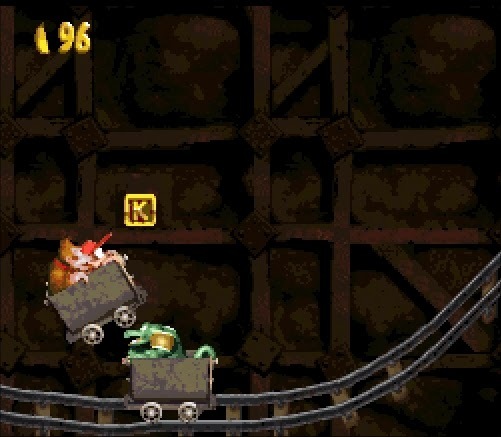 No two levels in the game feel the same, you may always move from left to right but the process could just as easily involve a mine cart, as it could swimming through lush coral reefs with the most relaxing music heard in any game. With the exception of the ‘Stop and Go’ level these various ideas all hit the mark, and never feel frustrating. Continually introducing new game play mechanics means that failure is frequent as you learn the new rules of a new level. But each time I play a stage I see myself inching further along, having learnt from every woeful attempt, and I found myself looking forward to what was coming next. What I find also ingenious is the way the game masks the player’s energy using a trailing second character, again stolen from Super Mario Bros 3, and the “big Mario little Mario” system but presented in an invisible way. “We thought the second character could perform this function, look visually impressive and give the player a feeling that they were not alone in the game”. With a game that is universally agreed to be this pretty it seemed a shame upon replaying it to condemn it to a tiny laptop screen. 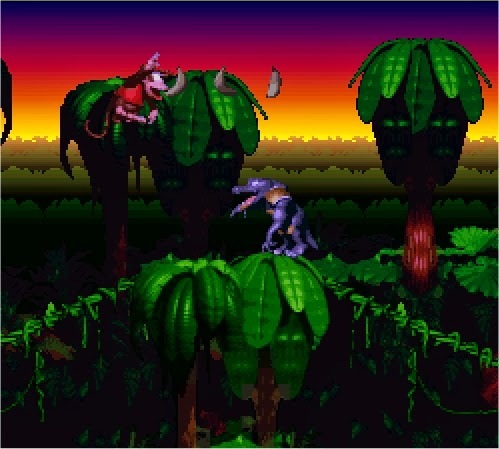 This meant that ‘Donkey Kong Country’ has been the only game since I started returning to old Snes games that has been played exclusively on the Big TV in my front room – exactly as it would have been played 20 years ago. For me I still believe it looks fantastic, even blown up on a 40 inch LCD. At times only the 4:3 aspect ratio betrays its age, as the dynamic lighting effects and faux 3D sprites still looking as full of life as they ever have. The game has aged better than the person playing it, and in 20 years it’s not just my youthful complexion that has degraded. When I got it in my youth (the last present Father Christmas ever bought me) I finished it within 6 days. Not only had I got the game Christmas morning and finished it by New Years eve, I had also got 101% completion in that time. I am reasonably sure that I could even finish it in one sitting, in about an hour and a half, barely losing a life. I wished, as I do now, that the game was longer as it really is so enjoyable to play. Fast Forward twenty years, and I also got the game for Christmas - with the ‘Go Ape’ Music CD of course, which with its Brit pop style tracks now (unlike the game) feels agonisingly dated. This time I played it literally every chance I got, but I didn’t finish it by New Year’s Eve. I didn’t finish it by the end of January. It actually took me 6 weeks to find the time to play the 2 hours it takes to finish the game. I didn’t find 101% of the secrets, I found close to 40%. I didn’t breeze through the stages, I died a lot and found myself having to often use ‘Funky’s Flights’ to return to early levels to build up my life reserves. The game hadn’t become harder, longer or more complex in those years, it was exactly the same as it once was. I however had become older, slower with less disposable free time. With limited playing opportunities compared to my childhood I may have less time to offer my hobby but I never consider game playing to be time wasted. Be it returning to the warm embrace of a childhood favourite (as was the case with 'Donkey Kong Country') or the thrill of exploring a previously unknown title I maintain that playing games is a fascinating pursuit even though sometimes enjoyment may be tinged by frustration or disappointment. The way I consume and the amount of time I can spend gaming is different as an adult to how it was as a child, but I'm lucky to have had a hobby that has amused me so much over the years. I have no doubt that as I start my 33rd year it will be the first thing I want to do in the few hours I have to myself. I just wish every hour spent could be as enjoyable and compelling as the all too short time playing with two monkey pals from my youth. A great article about a great game. 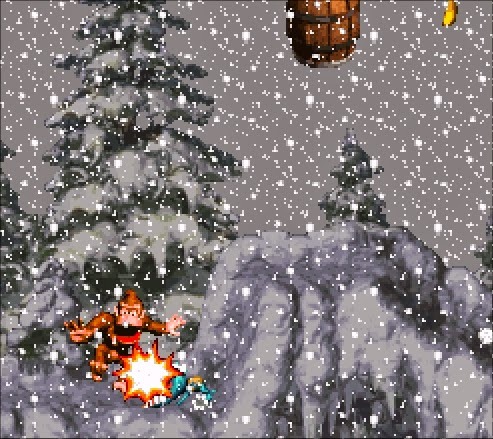 I'm 33 and in exactly the same position as you lifestyle-wise; my wife, children and work have pushed gaming waaaaay down the list but every now and then I get the chance to have a go for an hour or two and it's invariably DKC I plump for.